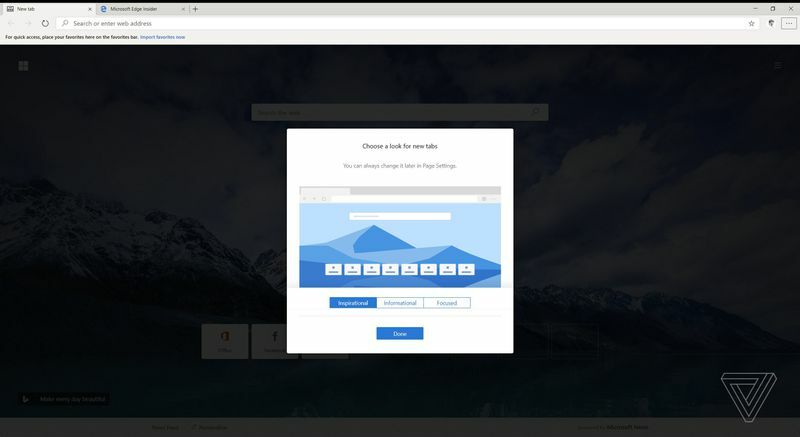 Microsoft's new Chromium-Based Edge browser has leaked online, complete with an installer. A first look. 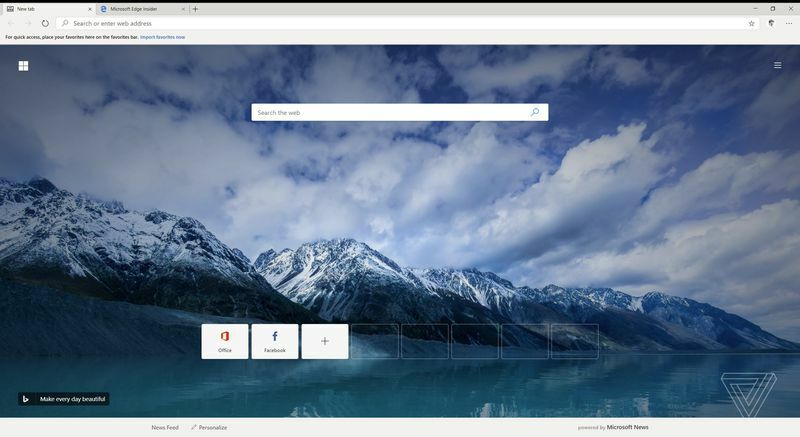 Microsoft has been rebuilding it's Edge browser on Chromium, an open source version of Google's Chrome browser. We have seen a support page and an extension page for the browser get published in recent weeks, but now we have a prototype of the actual browser, open to the public. The main interface of the browser is a mix of Chrome and Edge. Those moving from Chrome would recognise the interface, with a bit of Microsoft on top. You have a choice of using Microsoft's extensions or Google's extensions, as the browser supports both. Starting the browser, you are greeted with a setup window. It runs you through transferring info from Chrome or Edge, including favourites, passwords, and internet history. You also get to chose what you want the new tab page layout to look like, with options that look more like Chrome, and options that resemble the new tab page from Edge. The browser has almost been designed to look more familiar and intuitive, something which existing Edge users have complained about. As this version is not an official build from Microsoft, please take caution before installing and trying it out. all they did was scrap their IE engine which powered edge. they only went with chromium because they know that chrome is better.